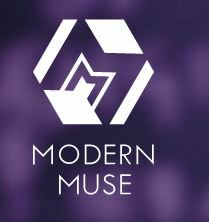 Modern Muse will inform you about the working world, help you explore your subject choices and give you an idea of where those choices may lead. You can use the site to get career inspiration, connections, and advice from Muses and the companies they work for. Muses are successful women, from a variety of backgrounds and Modern Muse gives you an insider’s view of their day-to-day work lives. There are so many career opportunities you may not know about, or perhaps you feel they are out of reach. That’s not the case. Modern Muse shows you the many opportunities available as you prepare for your future. Take a look at all the companies that are involved in Modern Muse!